People’s phone numbers can change if they move, change jobs, or switch to a new cell phone provider. While one solution for handling this change is to create a new contact for someone each time they give you a phone number, you might instead prefer to change the phone number for the existing contact on your iPhone. Fortunately all of the contact information that has been saved for a contact is editable, including that contact’s phone number. 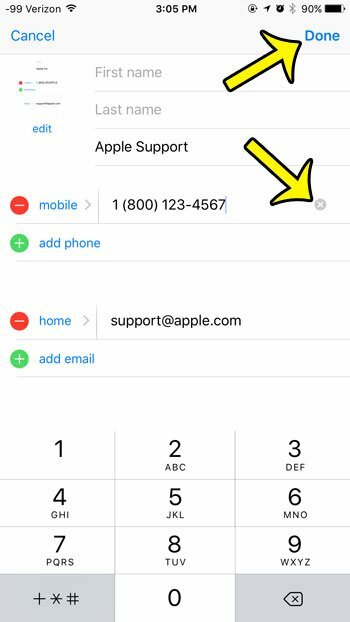 Our guide below will show you how to edit a contact’s phone number on your iPhone in iOS 9 so that any time you call them, or they call you, the contact labeling will be applied to their new number. 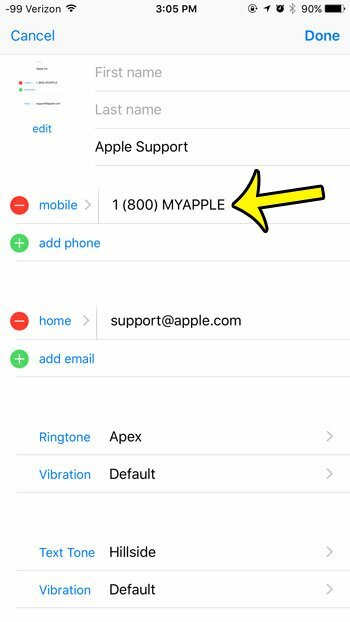 The steps in this article will show you how to change the phone number for a contact that is already stored on your iPhone. If you would prefer to just remove the contact entirely and start fresh with a new contact, then learn how to delete a contact in iOS 9. 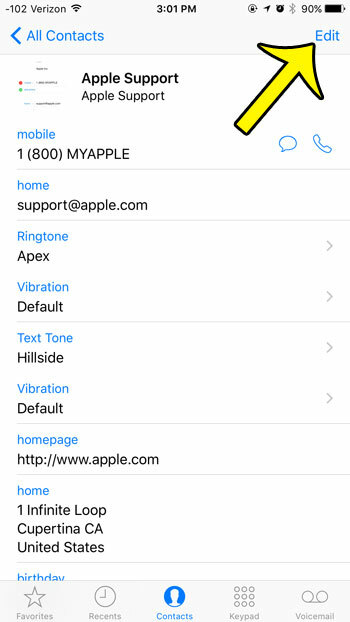 Open the Phone app or the Contacts app on your iPhone. If you opened the Contacts app directly, skip to step 3. Select the Contacts option at the bottom of the screen. Find the contact whose phone number you wish to edit. Select the phone number that you wish to edit. Tap the x to the right of the phone number, enter the new number, then tap the Done button at the top-right corner of the screen. Is there a “sent from my iPhone” signature being added to the end of every email that you send from your iPhone, and you would like it to stop? Find out how to remove the iPhone email signature so people don’t realize that you are emailing from your iPhone.